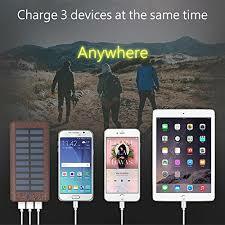 Phone Charger:100% Safe Charging:Over-current,overpower, over-voltage, over-discharge & short-circuit protection to ensure the safety of your device. Auto-stop when the phone is full charged. This helps protection against over-heating & over-charging situations. 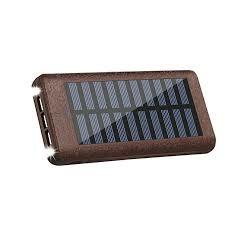 24000mah huge capacity enough for one week using. Super bright lighting，Perfectly in darkness, especially for emergency(Power Off). 1. You’d better charge it fully for the first use. But if you don’t, it doesn’t matter so much. 3. Double Press Power button in second,The Led light will turn On or Off. We also feature our weekly Free APPS selections as well as tech news and comments! Visit The Gadget Professor on Facebook www.facebook.com/gadgetprofessor – check it out and LIKE him!